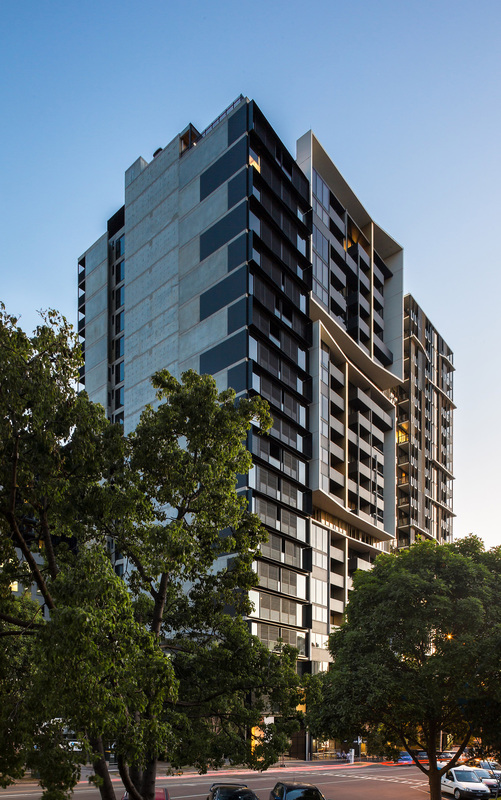 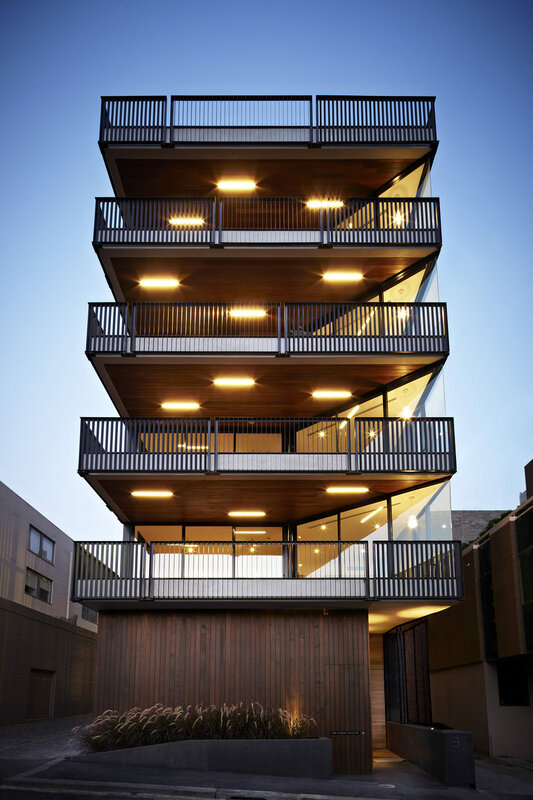 As part of the revitalization of Fisherman’s Bend JCB were invited to design an apartment tower that would deliver a diverse range of high density inner city living opportunities, targeting both owner occupiers and investors, including a portion of premium three bedroom family living apartments. 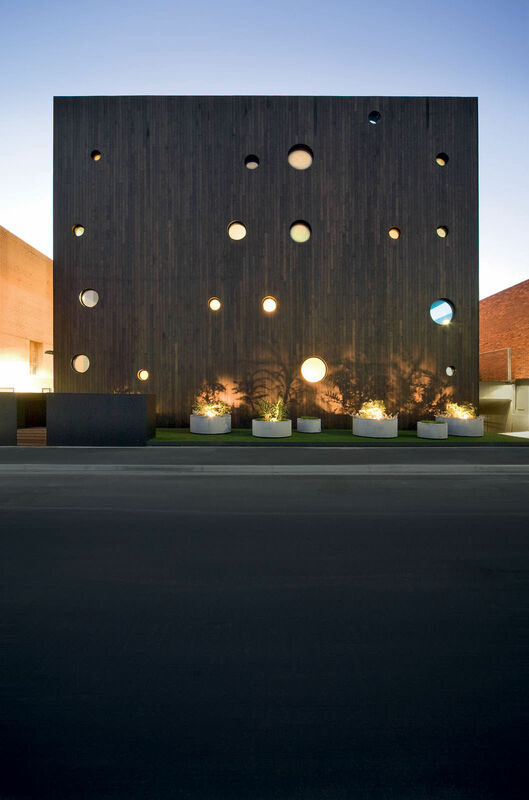 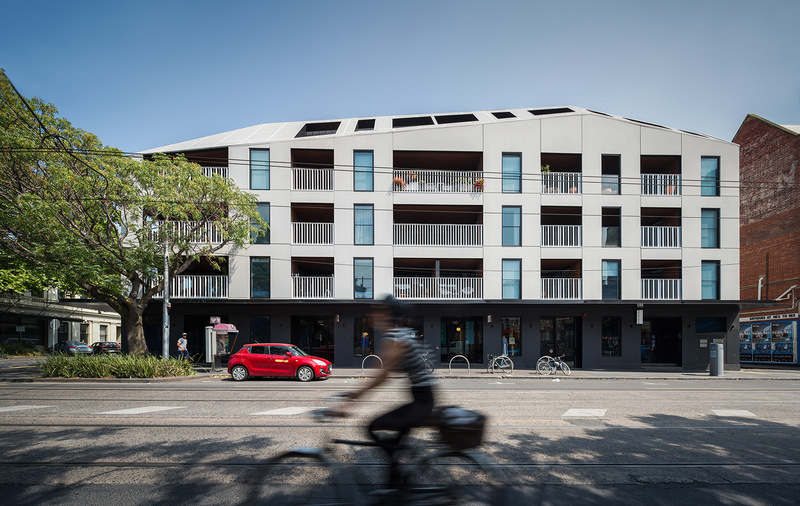 Its form responds to the Local Precinct Plan and to the scale and grain of the surrounding neighbourhood. 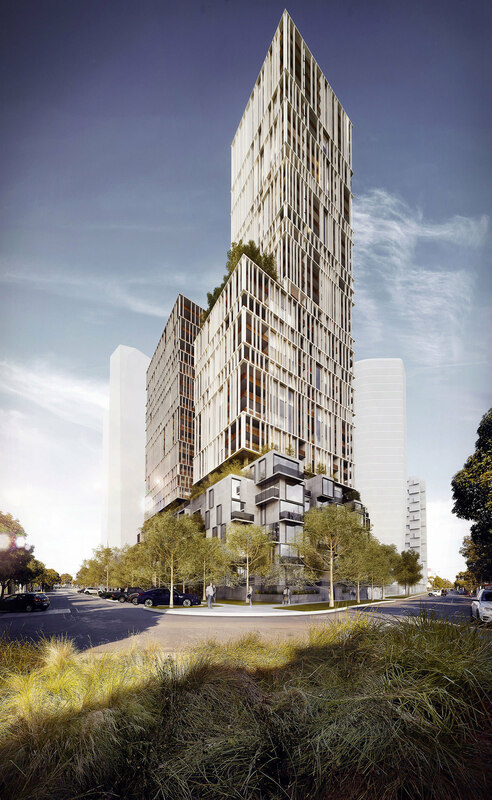 The towers feature a controlled pattern of expressed structure with vertical blades, providing framed views and solar protection. 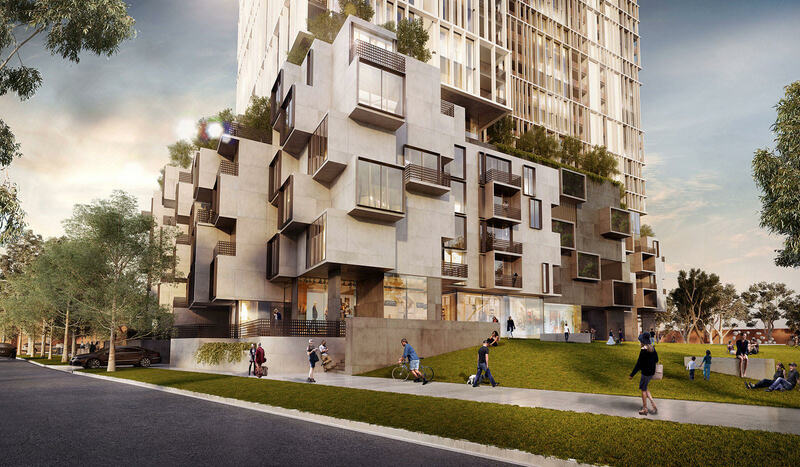 A generous podium provides communal facilities on the upper level, and a stepped modulating landscape on the lower levels, designed to moderate the impact of the towers on the streetscape. 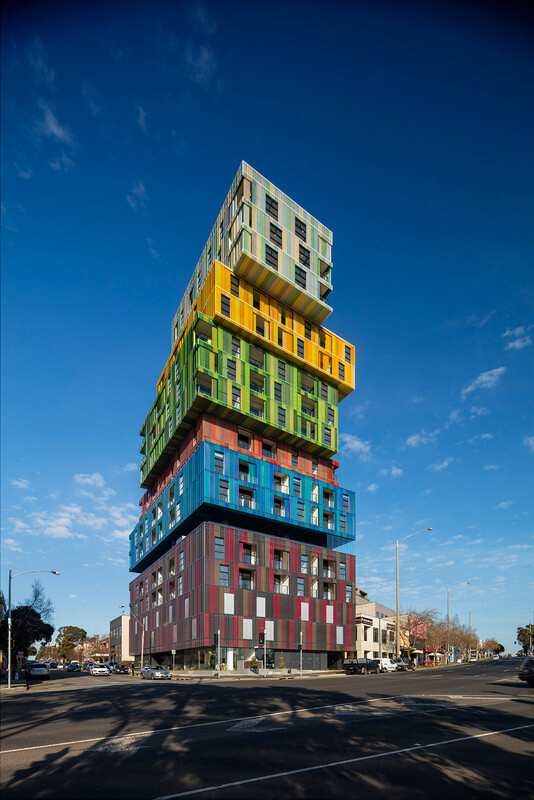 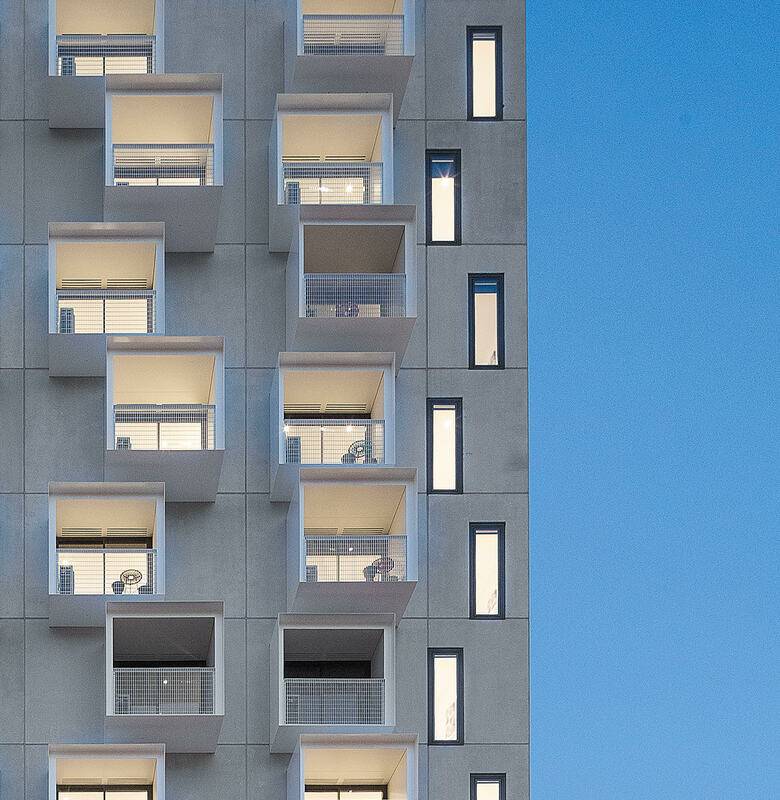 The form and scale of the podium has been carefully considered to minimise wind effects generated by the towers, while a dynamic composition of apartments surrounding the podium provide an envelope of residential activity wrapped around a central car park. 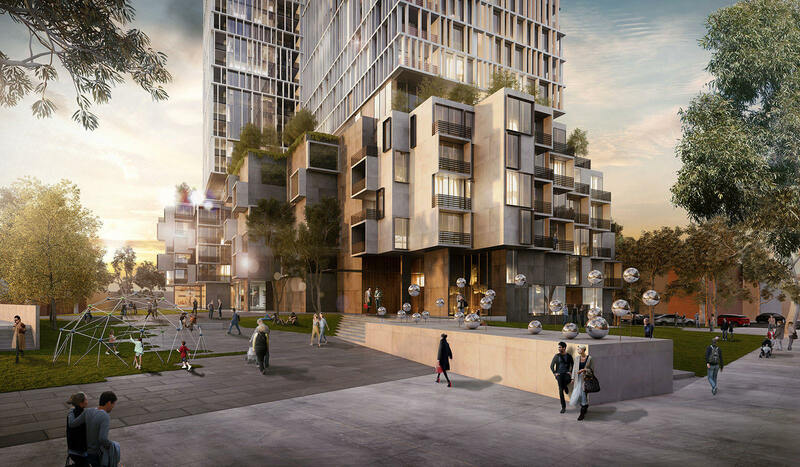 A range of active and passive environmental design strategies are incorporated into the project, including solar shading, double glazing, cross-ventilation, natural lighting to common corridors and rainwater harvesting to irrigate the planting of outdoor spaces and terraces.